The winners are listed below, scroll down or click the heading below to jump to those results. 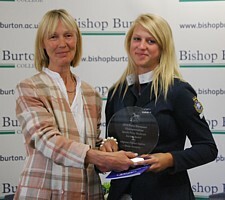 The SPSS awarded a trophy to the highest placed British-bred pony in each of the disciplines. 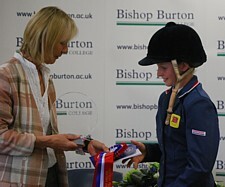 The British Equestrian Federation (BEF) also awarded a special rosette to the each of ponies. Catherston Nutsafe - a 14 year old bay mare by Catherston Nightsafe out of Catherston Dauntless (by Dutch Courage), bred by Lizzie Murray. Owned by Penelope Ecroyd, Catherston Nutsafe was ridden by Sam Ecroyd (age 13) and they were Team Gold Medallists for GB as well as being 5th individually, finishing on their dressage score. 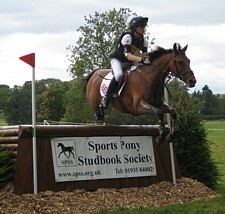 Catherston Nutsafe was a double team silver medallist with her previous rider, Ella McEwan, in 2008 and 2009. 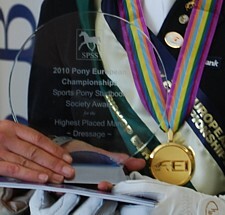 As well as the trophy and her BEF special rosette, Nutsafe was also given a SPSS Merit Award to mark her achievement as she is a SPSS Elite Graded mare and these awards were given to all ponies with a SPSS connection competing at the Pony European Championships. 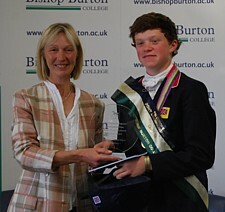 Sam Ecroyd collects Catherston Nutsafe's Trophy, the BEF Rosette and a SPSS Merit Award. Aroldo - a 13 yr old British grey gelding by Verdi (Holsteiner and Grade A Showjumper ridden by Adrian Haw) out of Megan's Gift (Welsh Sec D), bred by Emma Harrison. 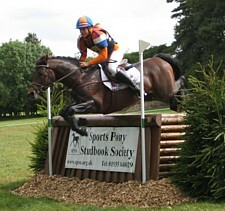 Aroldo was ridden by Emily Roe (age 13) from Lincoln and he is owned by her father. 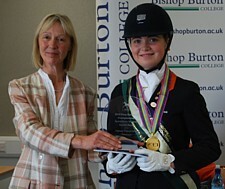 They were part of the British Jumping team that finished 5th and were the second highest placed British rider in the Individual competition, finishing a creditable 16th individually. 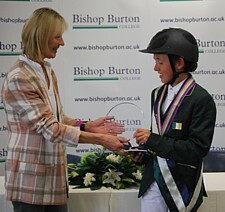 Aroldo was on the 2006 European Gold medal winning team in 2006 with Emily's sister Rebecca. Fijal Figaro - a 14 year old brown New Forest gelding by Peveril Peter Piper out of Woodfidley Soft Music and bred by Barbara Stiles. 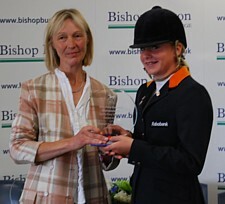 One of 12 mares to reach the third phase of the Eventing Championships, Catherston Nutsafe also collected the British bred trophy and SPSS Certificate of Merit (and a Team Gold Medal)!! 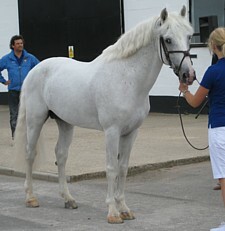 See her entry above, as British bred trophy winner, for more information. Acapella Z - a 13 year old bay mare by Alcamera La Silla out of Renata La Silla (by RamiroZ), born in Belgium and registered with the Zangersheide studbook. 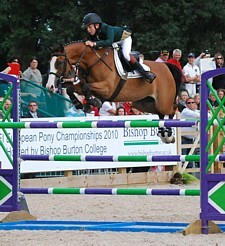 Ridden by Bertram Allen for Ireland, as well as a Team Silver medal, they were also Individual Gold Medallists and completed the entire jumping competition with no jumping or time faults - the only combination to do so. 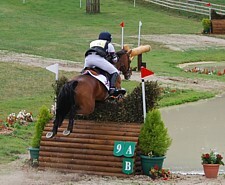 They led the competition from the start by being the fastest clear in the Individual Jumping qualifying round. Bertram won the Gold medal on his birthday! Golden Girl - an 8 year old German Riding Pony (registered in the Wesfalen Studbook as HB Golden Girl) by FS Don't Worry out of Golden Dream (by PRH Dancer). Ridden by Antoinette te Riele for Holland, they were key members of the Dutch team that took the Team Gold medal ahead of Germany - the first time that another country has ever won the Dressage Team Gold!! 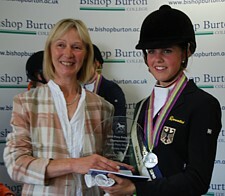 Golden Girl and Antoinette were then Individual Silver medallists before winning the Kur Gold Medal. Knock Out - a 9 year old bay Nederlands Riding Pony stallion by Krimh out of Shannon van de Bossenhoeve (by Diplomat). Ridden by Leontine de Bruin for Holland, Knock Out was 9th Individually, they completed on their dressage score to be the highest placed Dutch combination and a key contributor to the Dutch team which finished 4th overall. 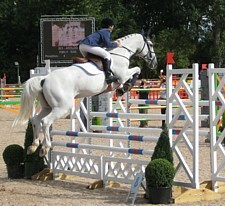 Idefix du Villon - a 14 year old grey French-bred Connemara by Quignon du Parc out of Hilda des Ludes (by Urrachree Breeze) and bred by Jean-Marie Franche. 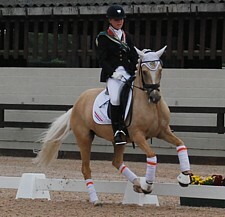 Ridden by Catharina Swartz for Sweden, they were 25th individually (a total of 48 ponies started in the competition). They were clear in the individual jumping round, then had an unfortunate 12 faults in the first round of the team competition, followed by 8 faults in the second round thus carrying 20 faults forward to the final individual competition where they unfortunately had further faults. Deinhard B - an 11 year old, palomino German Riding Pony (registered in the Rheinland Studbook), Deinhard B is by the successful sire Dornick B out of Gwenduline B (by Golden Dancer) and bred by Gestuet Boenniger / Ludwig Stassen. 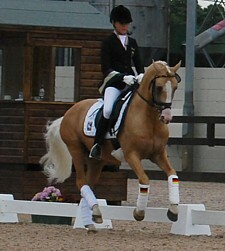 Ridden by Lena Charlott Walterscheidt for Germany, Deinhard B was one of the four palomino ponies in the Silver medal winning German Team. 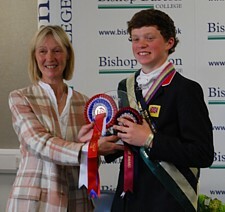 They then won both the Individual Silver medal and the Kur Silver medal and as the highest placed stallion in the Kur, were awarded the SPSS trophy.